I just wanted to pass this along, because I know there will be someone who will really dig this. Please make sure to address all inquiries to Bill. Hi, I am offering my 1941 Revised Challoner-Rheims Version of the New Testament, which was recently bound by Leonard's in black leather soft-tanned goatskin. 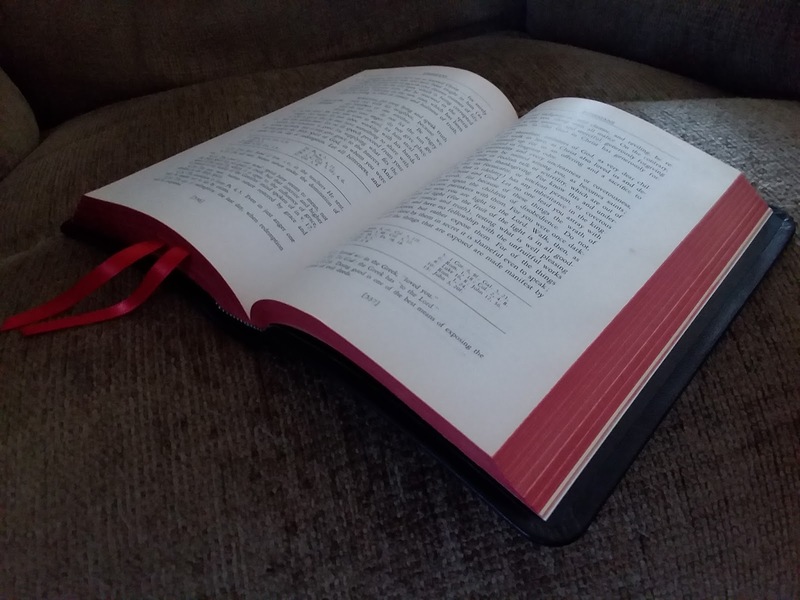 The bible itself is in near perfect condition with the exception of some light browning of the page edges which is common for a book from 1941. As far as I can see, there is no writing in the bible, and it is solidly bound. This was rebound by Leonard's back in March of this year. 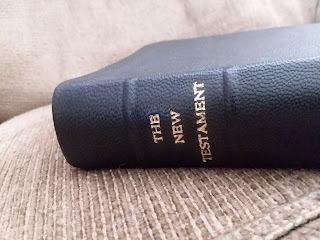 I have far too many bibles, and am clearing out my bookshelf. 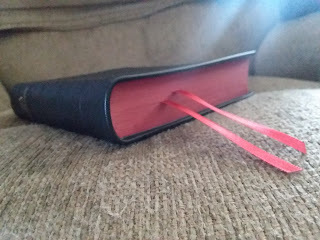 This one, in particular, I wanted to share here, on Timothy's blog because I know people here understand the value of a professionally leather covered bible from Leonard's. I payed just over $140.00 with shipping, and am asking $75.00 shipped via USPS within the ConUSA (Shipping from MA.). I will except PayPal. Please contact me at: Billhicks(at)ymail(dot)com with any questions. It looks like it's in very good condition. Wait, is this a Douay Rhiems NT in single column? I'd seen lots of single column Confraternity NTs before on eBay, but never a Douay. I wonder how common these are, I would bet not very. $75.00 for something like this, especially bound as it, is a steal! 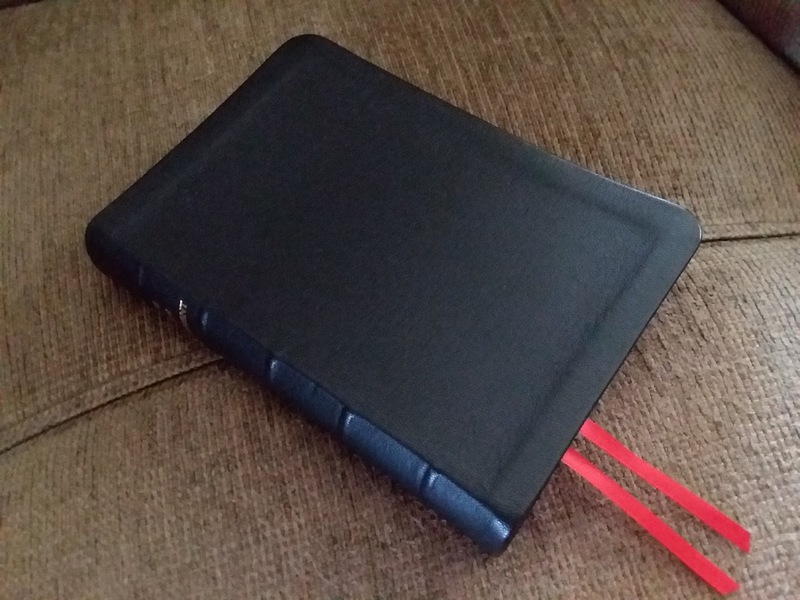 If only I hadn't blown my entertainment budget on three other Bibles this month already!